Your alt accounts received some Steem? Jarvis can power it up automatically to your main account. You have a specific cold-storage account. Jarvis can transfer new incoming liquid STEEM & SBD of all your accounts to the specified cold-storage account while keeping track of how much you want to keep on your other accounts. You've got multiple accounts, to diversify your holdings and which should all powerup automatically to themselves, but your main-account should have that Steempower delegated for use? Well, Jarvis can do that for you. Interested? Great! Setting it up isn't too difficult either. Disclaimer: This software has been developed with rigour and cautiousness, but I'm not taking any responsibility for possible bugs or misuse/mistakes from the user. If you're using this software, you're accepting full responsibility for your own funds & accounts. It is recommended to use Docker. However, you can also run the node manually, with PM2 or your favourite program. In the example above, I added all possible paths of using Jarvis so this should give you an idea, how to configure it, but here is the explanation in detail. You can either run it directly with npm start or by using PM2. That's it for the technical post. Please let me know if the explanations were good enough. I'll try to create another post in the near future, where I display some examples, how I'm personally utilizing Jarvis. Looks like a very useful project for people who have multiple accounts, great stuff! As @geronimo said, it would make a lot of sense to have a UI for the laymen out there - hopefully someone takes on that task for you. Great to see you included so many tests! Was wondering what __awaiter is - it's duplicated across multiple files many times, which could maybe be refactored. There are a lot of functions like steem_to_vest, power_up etc. that I presume you also use in other projects; can't you make an npm package for these (I'm not exactly knowledgable about doing this, so I could be completely wrong). Some small inconsistencies that could be fixed by using a linter, but other than that, it looks like a lot of high quality work. Would be better to split up the commits instead of having one big one, but you know that already. Great documentation on how to use the config! Another great project from you, as always. Thanks for all the amazing work you do on the blockchain! As @geronimo said, it would make a lot of sense to have a UI for the laymen out there - hopefully someone takes on that task for you. __awaiter is part of the compiled code dist. Normally, I don't ship this but when I'm expecting end-users to handle them, I do. It's def. not best practice and I might stop doing that in the future. I had 50+ commits, but reduced them to one, simply as an initial commit. Thanks for the in-depth feedback! Would be great, as I will be needing something like this in the future, haha! wouldn`t make it sense to create an UI for this? Yes. I would have done it myself, but I don't have enough time right now, so I'll create a task request. A simple html interface should be enough. Maybe you can buy a html template from themeforest or templatemonster. Would save a lot of time. Keep up the good work! Can we add “auto claiming discounted account” via RC ? This would be a dominant feature. Set the minimum level that we want to allow rc to be depleted to, and claim an account when RC > Set Minimum + Account claim cost. Oh man..... Jarvis is too hot for Mrs. Crabtree! Congratulations! You have created a new element. As always, you are the one, @therealwolf! Mark Zuckerberg got Jarvis, but no FB user can use it. STEEM user have their own Jarvis. Time to shill STEEM to FB users aggressively. Hell ya! Badass features thanks wolf! Well, time to get an alt account and start using ActiFit + share2steem... Congrats @therealwolf, always building new things on the blockchain! 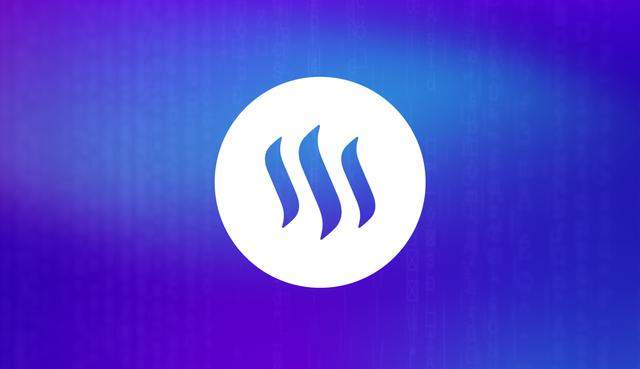 Another remarkable innovation on the steem blockchain given to us by the genuises of the steem blockchain, soar high steem devs! Great tool. I will start using it. Thanks for presenting this opportunity to the community. jarvis caught my eye =) maybe one day Jarvis can do almost all the things we want via voice command on steem couple with A.I ! wish there's a interface for non-coder. May actually set up a separate share2steem account now so I can tweet and forget about it wouldnt really even need to log into the account unless I wanted to move some funds around. There is a threshold due to nodejs/Docker and the configuration in text, but I'll try to create a more practical post. How cool. I love all these nifty tools the community makes! Looks useful, but for nondevs, this is useless. A nice way to package up all this into a program that runs in the background with a easy to control screen would be perfect for people. Most people can't set this up, let alone on a remote machine. hello mate! That's a cool script! I might use it at some point. I have saved your page so for future references I can come to see step by step what to do. You have a big brain I wish I was 10% of how skilled you are with IT stuff. All the best and speak soon! C.U. Jarvis could send payment to Smartmarket back and forth till the budget is completely used.